Unfortunately, due to the amount of spam we have been inundated with (31,000 pages! ), we have decided to close the guestbook until further notice. If you wish to leave us a message you can email it to: potteries@mmoc.org.uk and put guestbook in the subject line. Below are some comments from 'real' people who left genuine messages. i am not spamming,just wanted to say that this is a brilliant site, and i think that the car identification part is brilliant. Nice website. Left the Potteries in 1984 for Cornwall & still here. Now got a pickup and a van. Keep up the good werk! What a FAB Web site. It's FAR better than our Sth. Wales One. Thanks for everything you did at the NEC 2009. Santa & Julie Dawes. 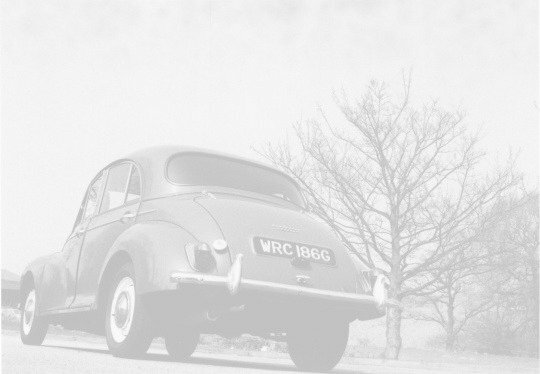 As a Portuguese Morris Minor enthusiast I must saycongratulations for your site. i would just like to say how sad we are to hear of the death of max,we have not been members for very long but max always made us feel very welcome.max will be greatly missed. sue and gary. Congratulations on a well structured site, the photos bring back so many happy memories, all the best for 2009. Since the new management took over the branch is going up and up, well done. the web site is brill,lots of info to look at.